Florida is the #2 destination for conventions and corporate events in the United States. No wonder Danny Orleans is frequently called on by meeting planners and trade show managers to entertain customers at special events. He’s performed hundreds of events at resorts and convention centers across the state including Orlando, Miami, Tampa, Boca Raton, Naples, and Bonita Springs. At Orange County Convention Center, attracting crowds at PMA to Greenyard Food’s exhibit. Danny Orleans helps his clients communicate their marketing messages by adding a touch of magic. The result? Companies brands are imprinted on their prospects’ minds, now eager to learn more. 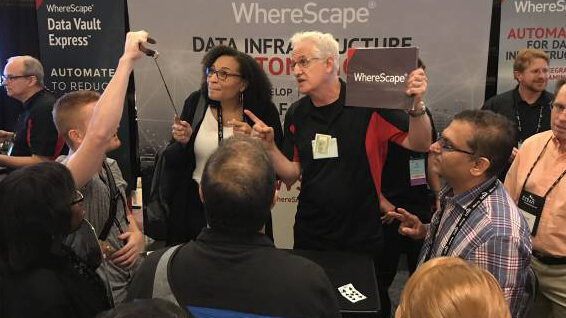 WhereScape has brought Danny to over 50 tradeshows in Orlando and other convention cities. 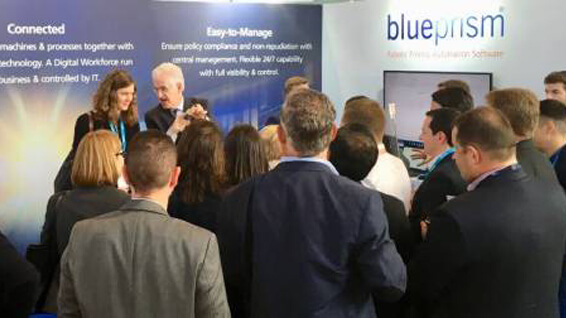 Blue Prism used Danny at Shared Services week in Orlando, Lisbon and San Jose in 2018. Florida is filled with magic. There’s Disney’s Magic Kingdom and the Orlando Magic pro basketball team. 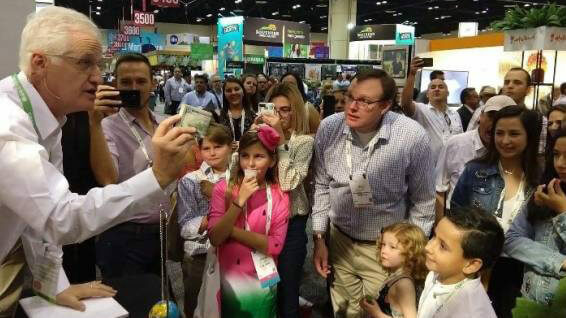 So, using magic as a meeting theme or a trade show idea for a booth is a perfect fit. That’s just one of the reasons that Danny Orleans is contacted to bring his magic show to events in Orlando and other Florida conference centers. Email Danny Orleans to learn how he can make your next trade show booth or special event positively magical.